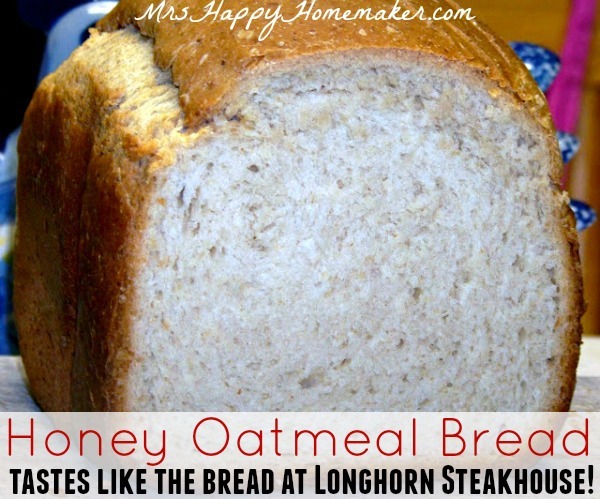 I never set out for this honey oatmeal bread to be a copycat version of Longhorn Steakhouse bread, but everyone who tries it says it tastes just like it! I love homemade bread. It all started with my mother’s buttermilk biscuits. She doesn’t know it, but all those chores she had to tell me 100 times to do as a child could have been taken care of immediately if she had just bribed me with biscuits. Heck, I would have cleaned the entire driveway with a toothbrush for 2 batches that were just for me, but that’s another story. Of course, no bread recipe can hold a candle to Mama’s biscuits, so I don’t even try. I can’t even put butter on her biscuits – it’s a travesty. However, I do enjoy a good smear of butter on a loaf of freshly baked bread and this honey oatmeal bread is definitely among my favorites. I never meant to make a copycat Longhorn Steakhouse bread – but I’ve been told by nearly everyone who tries it that’s what it tastes like. It has a slight hint of sweet, but not so much where it takes over the earthy flavor. 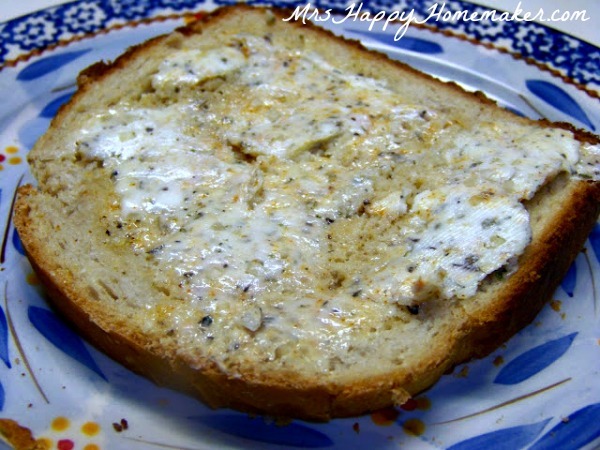 It is also a wonderful bread to make some great, hearty sandwiches with. That’s my husband’s favorite thing to do with it. I’m kind of partial to the butter though. I mean, it’s BUTTER. Enough said? I think so. You can make this bread completely in the breadmaker, or remove it after the dough cycle, pour the dough into a loaf pan, & cover with a damp cloth & let rise for about 30 minutes before baking. Set your oven on 350 & bake for about 30 minutes, or until the crust is browned. I actually prefer mine to be baked in the oven b/c I like how thin the crust is when it is done that way. But, I have nothing against doing it in the breadmaker, & often bake it that way too (I select the light crust setting). Whichever is your preference, it comes out great either way. Place ingredients in bread machine pan in the order suggested by the manufacturer. Select Light Crust or Basic setting, and press Start. *Refer to post for instructions on making it without a breadmaker. So this bread…I’m ready to try it. As soon as possible. Maybe it’ll be the first loaf of the new year? 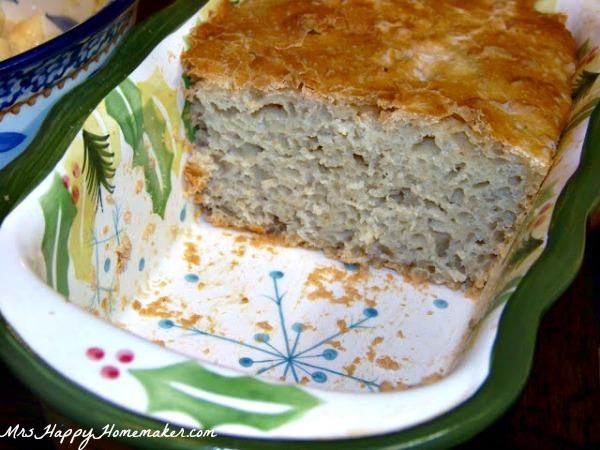 I just made my standard wheat bread today, but I’m ready to try something new, and this looks delicious. Glad you linked it to Food on Fridays, so I have it super-handy for easy reference! Hi Crystal, I found your blog on the My Romantic Home link party. I’m going to try your bread recipe, it sounds good and I like the idea of using oatmeal. I use a bread machine all the time to make whole wheat bread. I’m having my first link party called Masterpiece Monday, on my blog, Boogieboard Cottage, this Monday and I would love it if you linked up your recipe! Shoot, so that’s that one suspopes. Your bread looks delicious. Homemade bread is the best. Tnx for linking up to my party! Looks very good! I’ve never attempted to make bread before but my mom used to make it all the time. I love honey oatmeal bread and yours looks delish. Never thought of putting garlic butter though! This bread sounds delicious! Is this for 1.5 lbs? 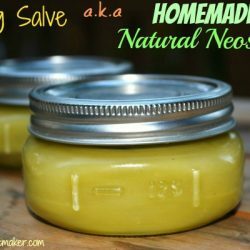 I used to make this recipe all the time years ago. I hadn’t made it in a while & to my surprise when I came back, the name had changed to a copycat recipe. I loved it then & didn’t think it was a copycat bread at all. not sure if the recipe has been tweaked or not, I will say my bread didn’t rise at all. My yeast is brand new so I know that’s not it. I’m pretty disappointed especially since this was my go to bread recipe when I actually had time to make some. Longhorn Steakhouse doesn’t serve a ‘Honey OATMEAL’ bread. They serve ‘Honey Whole Wheat’ bread. Does it really matter? Supposedly it tastes like the bread they serve at Longhorn. Tried yesterday and was fabulous! Thank you! I don’t have a bread machine. What are the instructions by hand or with a dough hook attachment to a mixer?